Is the mattress that came with your teardrop trailer flimsy and unsupportive? Here are 2 teardrop camper mattress solutions that will ensure you get an amazing night’s sleep on your next camping adventure. Keep reading to learn which option is the best for you. When we bought our teardrop trailer 3 years ago, it came with a lightweight foam mattress. I climbed in to give it a try and immediately realized it was not going to work. The foam offered no support at all. It felt like there was nothing at all between me and the hard camper floor. The foam mattress our camper came with was a bit of a joke. And since the whole reason we bought a teardrop camper was because I couldn’t sleep on the ground in a tent anymore due to back surgery, we had to come up with a new mattress for a teardrop trailer before taking our new camper out for its first adventure. I would have loved to get a top of the line queen-sized pillow top mattress just like I have at home to use in our teardrop, but unfortunately there would be absolutely no way to get that heavy unwieldy bed mattress through the door into the sleeping area. Those doors are small! So when picking a mattress for a teardrop trailer, you need something that is flexible because you are going to have to fold it to get it in through the door. That is why teardrop camper manufacturers use foam in the first place. However sleeping on a flimsy foam teardrop mattress is going to result in a sleepless night tossing and turning, trying to find a comfy sleeping position. After a bit of thought, we came up with two ideas for a mattress for a teardrop camper which would allow us to get a good night’s sleep while on our next camping adventure. ✅ Here is the teardrop camper mattress solution we chose. Measure the sleeping area where your teardrop trailer mattress is going to go. Teardrop camper sleeping areas vary from manufacturer to manufacturer. Most (but not all) teardrops will take a standard queen sized mattress which is 60″ x 80″ but you don’t want to spend the money buying a mattress for a teardrop camper only to discover it doesn’t fit. So get out a measuring tape and take the exact measurements before you make a purchase. Before we bought our teardrop camper, Kevin and I had bought an inflatable queen-sized air mattress to put in our tent. We slept on it with sleeping bags. The inflatable mattress was not as comfy as our mattress at home, but it still provided a decent night’s sleep while we were out camping. So that was the first idea we had for a teardrop trailer mattress. If you are wanting a teardrop camper mattress that you can easily remove and store, an inflatable air mattress might be the perfect choice for you. Our second idea for a mattress for a teardrop trailer was to keep the flimsy foam teardrop mattress that came with our trailer and get a quality gel memory foam mattress topper to put on top of it. 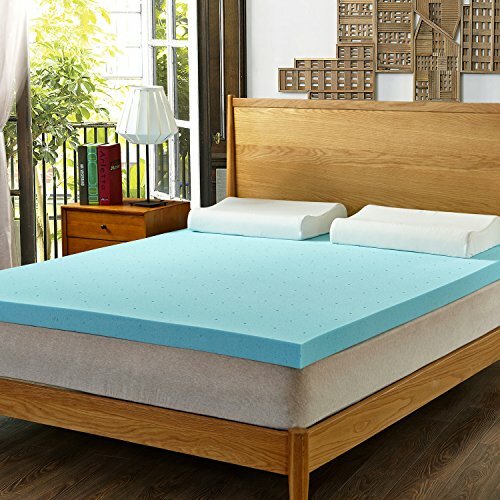 You can get gel memory foam mattress covers that are 3 or 4 inches thick to provide the ultimate comfort and support while sleeping. 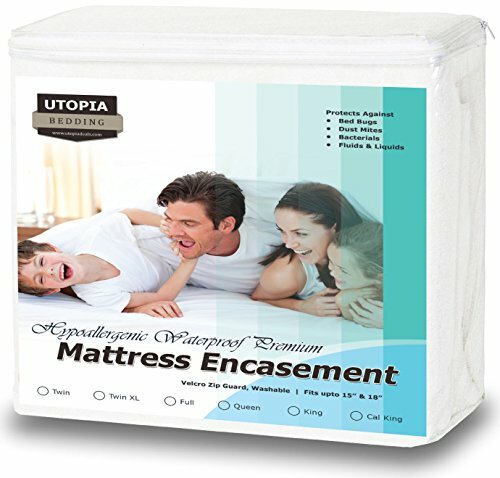 If you are wanting a teardrop camper mattress to provide plenty of support while you are sleeping, a memory foam mattress topper might be the perfect choice for you. 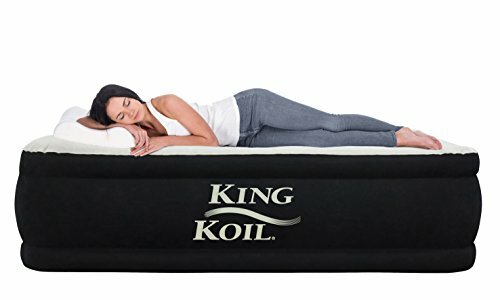 Both the inflatable air mattress and the memory foam mattress topper were close in price. Either option would be between $100 and $200 to purchase a quality one. Because we’ve had air mattresses in the past that have developed air leaks (admittedly they were cheap air mattresses), we ultimately made the choice to get a memory foam topper for the mattress that came with our camper. 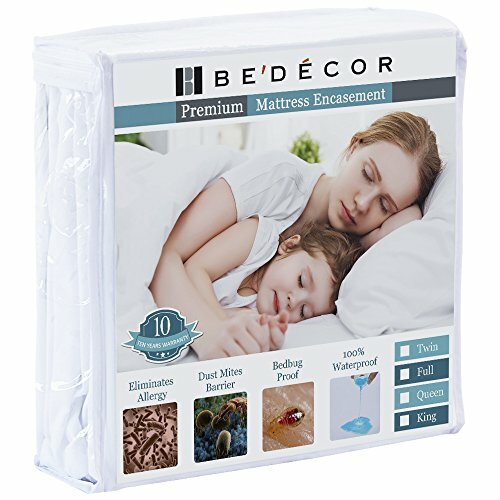 Tons of good reviews – click here to read all the customer reviews for this mattress topper. After 3 years of using the memory foam topper in our teardrop sleeping area, would I still recommend it as the best choice? Yes! 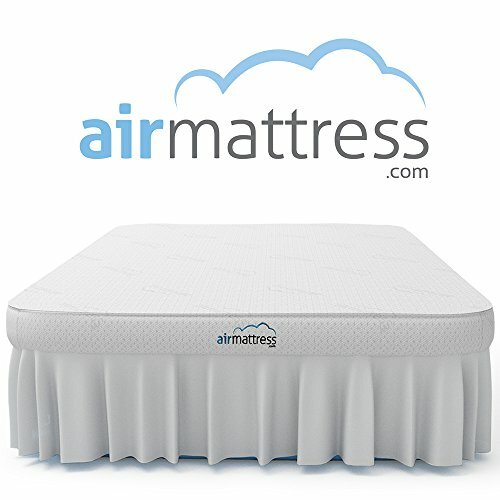 The mattress topper we bought is still providing great support and we haven’t had any issues with it ripping or tearing. I love being able to come back to the campsite after a full day of hiking and fall right asleep because the gel memory foam mattress topper makes our teardrop bed so comfy. 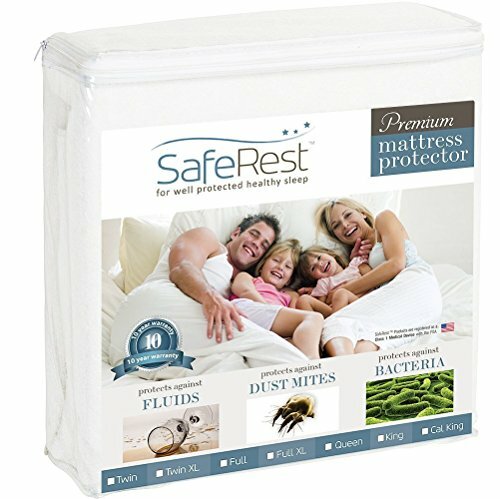 Do you need a mattress cover for your teardrop mattress? My answer is a resounding yes. Camping can be dirty – especially if you like to hike and explore like our family does. We try to shower or wash up each night when we are out camping, but it is nearly impossible to keep all traces of dirt out of the teardrop sleeping area. A mattress cover will help ensure that your teardrop trailer mattress stays clean. 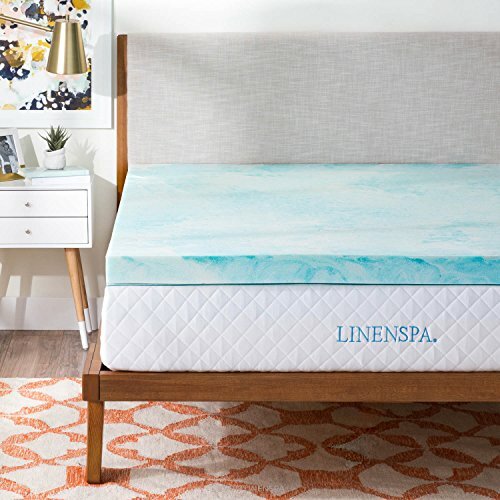 It also can prolong the life of your mattress and protect it from wear and tear. I recommend a zippered cover that completely encloses your mattress. Here are some great options if you are planning on getting a cover for a mattress for a teardrop camper …. So I hope this information on teardrop trailer mattress solutions was helpful to you. We have been using our gel memory foam mattress topper in our teardrop for 3 years now and it has helped us get a good night’s sleep whenever we go camping so we wake up rested and refreshed for the day’s adventures. 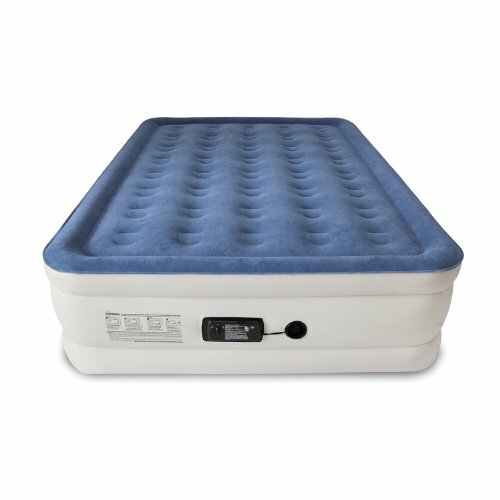 What type of teardrop camper mattress do you use? 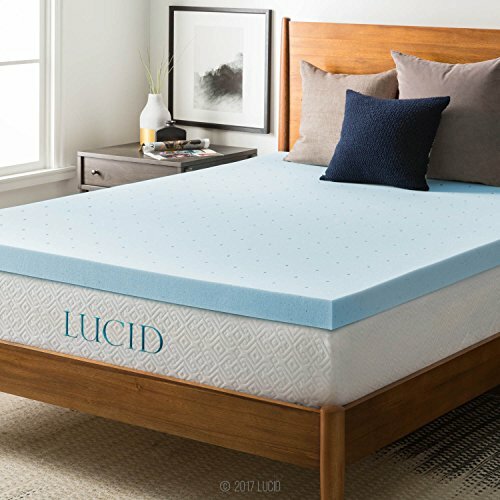 Be sure to leave us a comment below and let us know what mattress you prefer. We would love to hear from you. Happy camping!